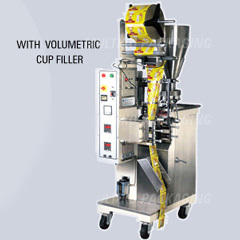 VFFS Bagging machine with servo are High speed servo driven vertical form, fill and seal (bagging) packaging machines designed to package whole foods, grains, snacks, granular and free flowing powdered products. 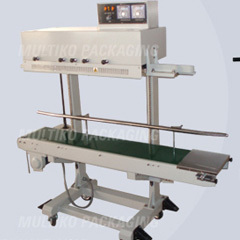 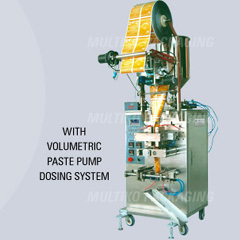 These machines are available in four models namely MK-501, MK-504, MK-505 and MK-506, and equip servo drive to produce center sealed pouches also commonly known as pillow pack or fin seal type pouches / bags. 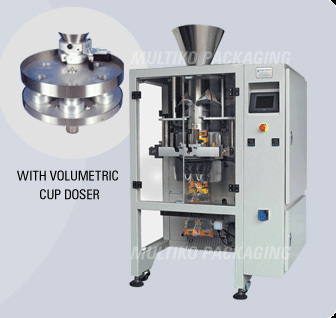 Servo driven VFFS Bagging machines can also produce side gusseted bags giving you the flexibility to choose the style that would best fit your packaging needs. 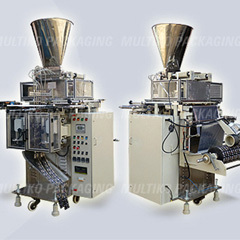 Adding to versatility, the MK-500 High speed servo driven bagging machine series can be integrated with fillers for sticky powders, snacks and food grains etc.